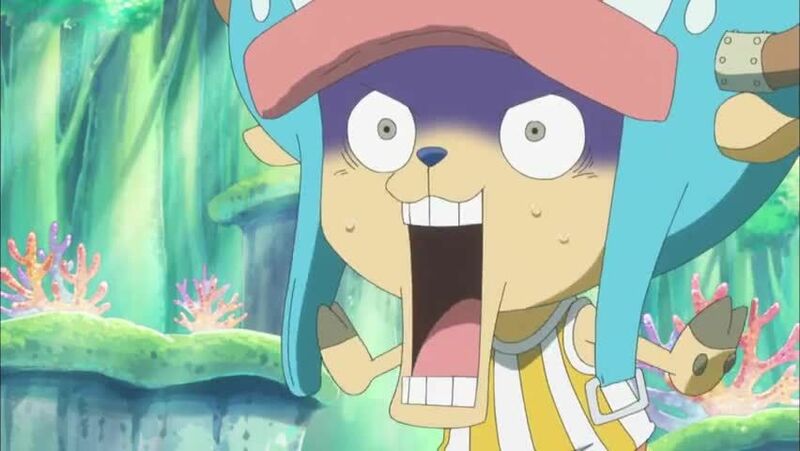 Watch full One Piece Season 15 Episode 32 English Dubbed full HD online. One Piece Episode 548 English Dubbed online for free in HD. Hordy announces that any fishman who is associated with humans will be exiled from the island and everyone is to migrate to the surface, leaving the people of Fishman Island in a panic. He also announces that in three hours, Hordy will execute King Neptune. Using the box containing the petition signatures, Hordy also reveals that he will kill every single person who signed the petition. Lastly, Hordy states that he will kill the Straw Hat Pirates, including Luffy, for crushing Arlong’s ambitions. At the Sea Forest, Robin examines a poneglyph containing an apology to Joy Boy. Upon hearing Hordy’s plans, Jimbei reveals to the Straw Hats that Shirahoshi is the real threat behind Hordy’s plan. Luffy and Shirahoshi prepare to go face Hordy and the New Fishman Pirates, but Jimbei stops the two. When Luffy tells Jimbei that he is going to save his crew no matter what, the fishman is forced to fight the Straw Hat captain.